There are many reasons innovative business ideas aren't generated and successfully implemented in organizations. Various strategy, process, and people barriers can block great ideas from turning into reality. 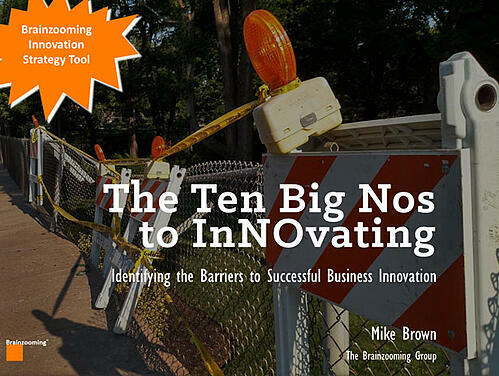 The Brainzooming eBook The Ten Big NOs to InNOvating reveals ten common innovation barriers your organization may be facing along with strategies to overcome them.